Want to know a little more about the beers you love? Then read on, as Crafty’s resident “beer dork” Chris Brady (his words, not ours) kicks off what will be regular features looking at the beers of the world. Kicking it off is a look at Saisons. Picture the scene. The sun is hot in a cloudless sky and the sweet air is clean and fresh. Indeed, pollution doesn't exist for you as you're a lusty Francophone farmhand in pre-industrial Belgium. You earn your crust as a summer seasonal worker (les saisonnier). Your diet is simple and the quality of your drinking water would be best described as variable. Muscular and sweaty, you are thirsty from a hard day's toil in the European sun. What do you need above all else? What could provide you with a safe source of water, plus vital carbohydrates, vitamins and minerals? Naturally, the answer is beer; more specifically a saison. It was practically named for you! You're way too old for mother's milk so come, suckle at the teat of the farmhouse brewer! Historically, this Belgian ale that sounds like a French one (saison is French for season) was a seasonal farmhouse brew made in Wallonia, the French-speaking region of southern Belgium. 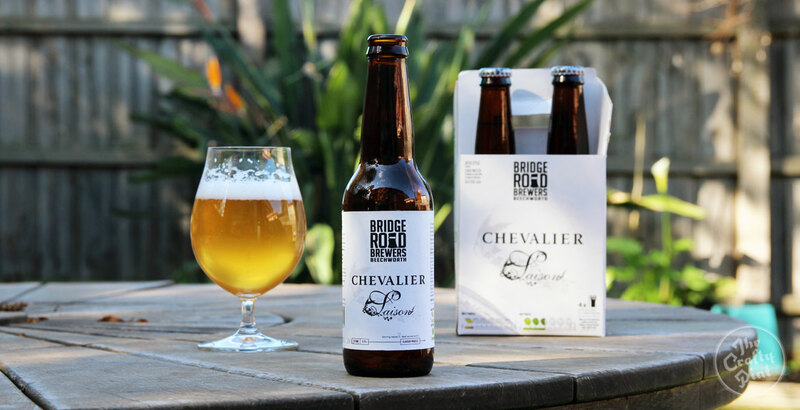 Indeed, the French connection continues when you consider that saisons have a shared history with their boozy cousins from just over the border, the French bières de garde. These farmhouse ales were brewed during the quieter winter months in order to stockpile a supply of beer for the busy summer ahead. Brewing during the cooler months came with a couple of advantages. Winter is when environmental microbial activity is at its lowest, decreasing the chances of beer spoilage. The beer would have had another helping hand through a period of cold conditioning as the beer was left to mature in the cool of the farmhouse cellar. Early brewers, without access to laboratories, yeast banks and the like, would have used and reused their own "house" yeast culture that would have comprised several strains as well as traces of wild yeasts and bacteria. These trace microorganisms (present in brewhouse equipment, storage barrels and so on) would have lent the beer a sour tang. Come summertime, the beer was ready for drinking by farmers and workers alike. The romance of this bucolic idyll – healthy, burnished Europeans slaking a hard-earned thirst – is deflated somewhat when you consider that, at the time, potable water was a scarce commodity and slaking one's thirst with anything other than a well brewed beverage was a risky business. In addition to being a safe water source, beer was also a valuable foodstuff packed with nutrients courtesy of the yeast and malted grains. Indeed, so necessary was beer to the diet that labourers would typically receive a beer allowance which, in some cases, could be up to five litres per day! So, the original labourer's saison would have been a fairly full-bodied and fortifying drink with a distinctly tart and refreshing finish. Importantly, it was low in alcohol at around 3 percent ABV. 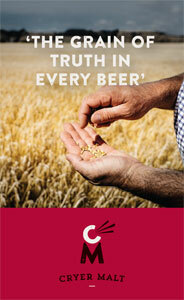 After all, what farmer in his right mind would ply their employees with a head-kicking tripel? Today's saisons are much stronger than their agricultural antecedents. In the early part of the 20th century, brewers began increasing the strength of their saisons in order to compete with the more popular, stronger Belgian styles. Saisons are now usually around five to seven per cent ABV (with "super" saisons bigger still). A classic, modern saison will generally use a very pale malt, pilsner malt, as the base along with other, slightly darker speciality malts, such as Munich malt, to lend the saison its characteristic burnished orange hue. Hops are generally of classic old European stock, such as German Hallertau or East Kent Goldings. What makes a saison so refreshing is the bone dry finish and part of the brewer's magic is the manipulation of the mash [the process of extracting the good stuff from milled grain in hot water] in order to create a highly fermentable wort [the sugar rich liquid full of said good stuff]. Pure sugar may also be added as, being completely fermentable, it will help to dry out the finished beer. Saison yeasts are some of Belgium's oldest strains and deserve special mention as they are something of an oddity, typically working best at a much higher temperature that other yeasts. If a brewer were to ferment a true saison yeast at a typical ale fermentation temperature of around 19C, then the yeast would fail to attenuate fully, meaning that it would eventually shrug its shoulders and say: "I can't be arsed any more" well before it had metabolised all the available sugars. This would result in an oxymoronic sweet saison. In order to produce a dry, well-attenuated saison, the yeast must be allowed to work at its optimum temperature, which is surprisingly high at around 30C. At these temperatures, most yeasts will spit out an abundance of "hot" fusel alcohols, producing a beer that tastes like paint thinner. However, this is not the case with saison yeast; what you get is a bone dry beer with a wonderfully complex flavour of peppery, tart fruit and a slightly acidic, mineral edge. Though a modern saison is not a sour beer by definition, adventurous brewers can achieve the original, more sour aspect by either conducting a sour mash [in other words, left for a period of time at ambient temperature until the mash “goes off” – in other words, it naturally sours] or through inoculating the fermenting wort with a souring microbe (eg Lactobacillus). Spices or fruit (eg lemon zest) might also be used in the mix though these flavours can be purely yeast-derived. The dry / tart aspect comes not only from the yeast. Saisons are typically highly carbonated, giving the beer a carbonic acid prickle. Plus, the waters of Wallonia are hard, with high sulphate levels that increase the perceived bitterness of any given level of hopping. Brewers with soft water can compensate with the addition of brewing salts such as gypsum. The result is a moderately strong, effervescent beer with a dense and persistent head. Along with a firm hop bitterness, there is is a typically Belgian character of peppery, tart fruit, which leads to a dry, acidic finish. So, if the sun is hot in a cloudless sky, this tangy quencher could be just the thing, but please remember, you are not a Belgian farmhand and your allowance is most definitely not five litres per day! *The original article included Temple's Saison, which has since been retired. To read other Drinking in Style articles by Chris, head here. Chris Brady hails from the north of England but migrated south two decades ago, moving from homebrewing to pro brewer in 2013. He's currently head brewer at Holgate Brewhouse in Woodend. To read his past Drinking in Style articles, head here.